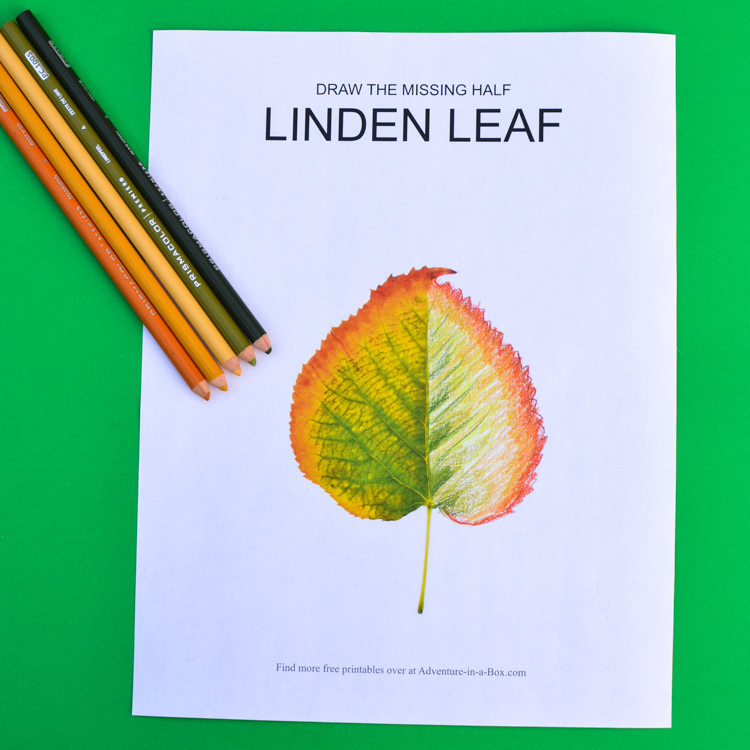 Challenge your kids to draw the missing half of a leaf. 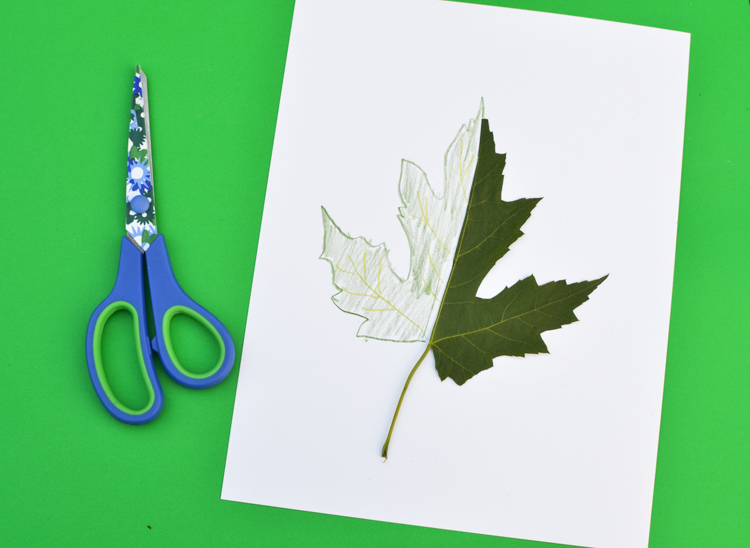 A fun autumn nature craft and an art study of a leaf! If someone asked me to draw a leaf, I would doodle a heart-shaped form with a stem. Yet, every time fall comes around, I gather leaves and so few of them are actually that shape. 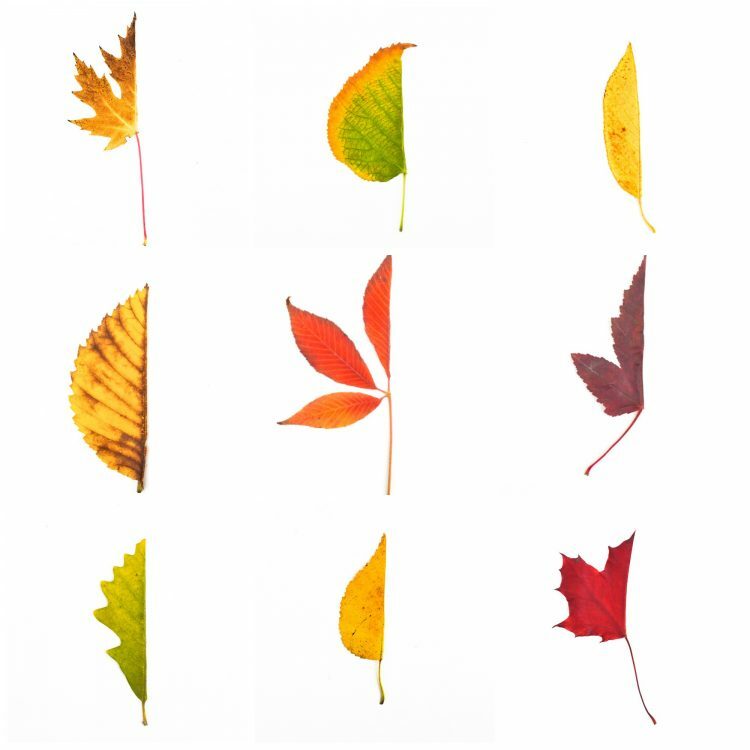 Palmate maple leaves, fan-like chestnut leaves, and asymmetric elm leaves – they’re all so different and amazing, especially in their autumn vibrancy. When I think about it this way, it is really quite unfair of me to have a stereotype of one leaf, disregarding all the rest. But that was about to change when Anselm and I decided to go on a leaf hunt. When you’re a little kid, the best studies happen outdoors. We weren’t in a hurry and took several expeditions to different parks. There was a lot of running around, jumping high to pick the best leaf and, when every other tactic failed, even climbing trees. Then we would come home and add a few new leaves to “our collection”. 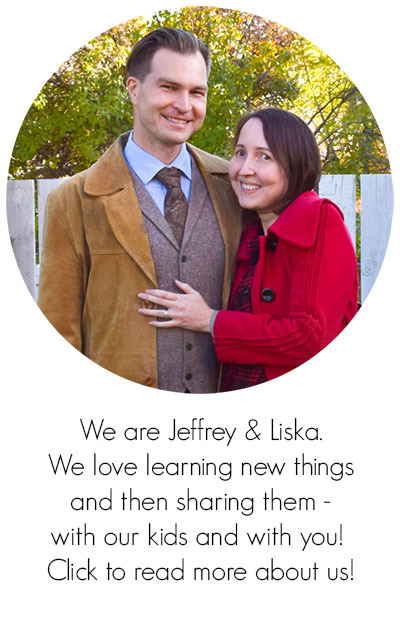 At home, we first put the leaves between the pages of a sketchbook for a night… or longer if we forgot about them. It helped to flatten them out. Then we’d take the leaves out, look at them, identify them the best we could with our Tree Field Guide and… cut them in half. I’ve tried half-prompts with my son before and seen his observational skills at their best. He would carefully study the picture, then draw its missing half. That’s what we were going to do with the leaves. When one paints, one has to analyze the form, the colours and the texture of the object before putting it on paper. Like writing helps to memorize, I always felt that painting helps me understand. That’s why we all painted leaves. Even Dad did! 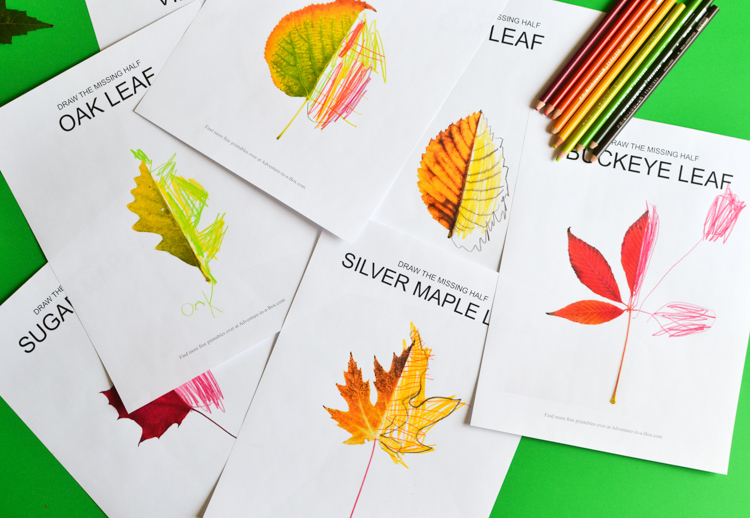 Collect leaves and flatten them between the pages of a book or a sketchbook. Once the leaves are flat, cut them in halves. 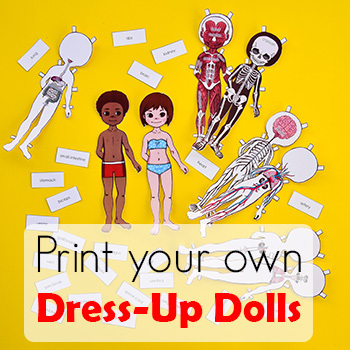 Glue the halves to sheets of paper with some white glue like Elmer’s. 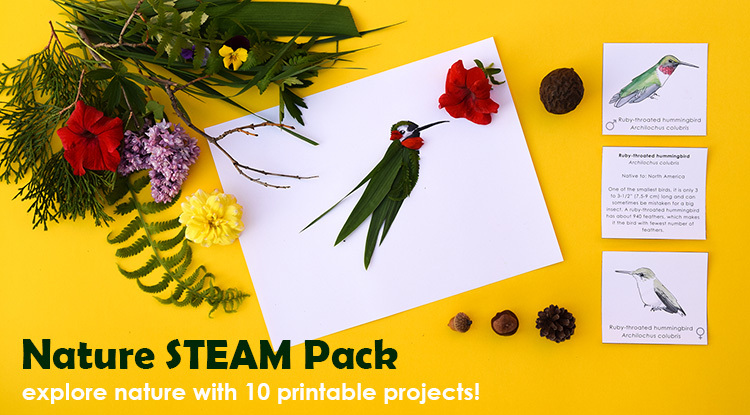 If it isn’t the right time of a year or leaves are scarce where you live, you can download and print our photo prompts! 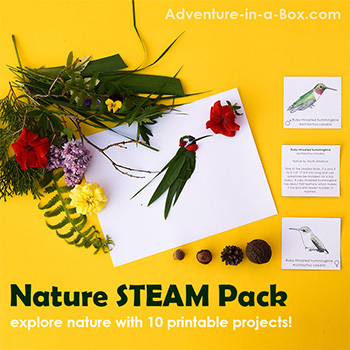 Inside, you will find photos of leaves from ten trees and shrubs: birch, oak, buckeye, viburnum, elm, silver maple, sugar maple, linden, green ash, and lilac. We identified the leaves to the best of our knowledge. Feel free to let us know if you think that we’ve made a mistake! Download the Left Art Prompt Printable Pack! Of course, what you notice first about autumn leaves is the colour. 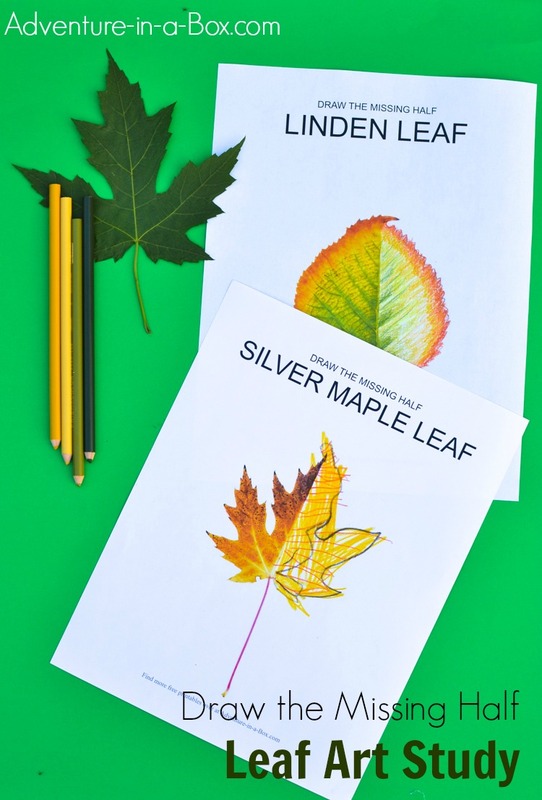 So, we started each painting with the question, “What colour is this leaf?” Then we chose pencils of the right colour and put them next to the leaf, trying to match the hue. Good thing we recently got this 72 coloured pencil set! Then, depending on the leaf, we’d count the lobes or leaflets, or I’d point them out to Anselm. We have been doing this for two years now, and it’s interesting to see the progression of Anselm’s skills. This is how he finished leaves when he was 3.5. While the last leaf – birch – was one of the least exciting, in my opinion, Anselm was most interested in it. He didn’t want to do a maple leaf, he wanted to do “that little leaf”. Once he drew its half, he felt confident enough to make one from scratch, and that’s what you can see in the lower right. And this is his work at 4.5! He tried to use a variety of shades to capture the complexity of an autumn leaf colour, and he could name some distinct leaves like oak and maple. 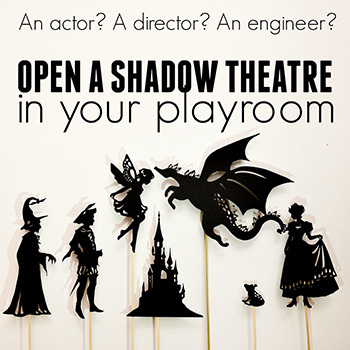 All of this seemed like too much fun for us adults to miss, so we gave it a go as well. It was fun! For a short time, nothing mattered but leaf gradients and leaf veins. It was very relaxing. If you’re curious, the linden leaf in the middle is Jeffrey’s, and I drew the two maple leaves.